JAKARTA - Chinese women's team had a slim 3-2 win over the Netherlands to secure a place in semifinals in the Uber Cup women's badminton quarterfinal here Wednesday night at Bung Karno Sports Hall. 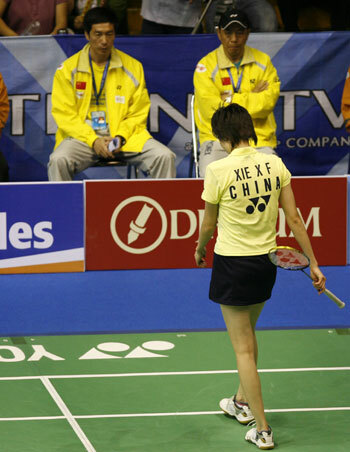 Yao Jie, representing the Netherlands, beat World No.1 Xie Xingfang 14-21, 21-12, 21-16 while China second singles player Lu Lan outclassed Judith Meulendijks 10-21, 21-18, 22-20. 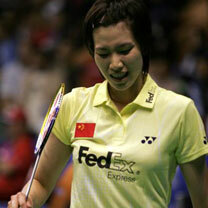 Rachel Van Cutsen of the Netherlands swept past China's third singles Jiang Yanjiao 21-14, 11-21, 21-16. However, while the singles players were struggling, China's top doubles team of Yang Wei/Zhang Jiewen and second doubles Wei Yili/Zhang Yawen were able to grab the key points for China. Yang Wei/Zhang Jiewen beat Paulien Van Dooremalen/Judith Meulendijks 21-9, 21-9 while Wei Yili/Zhang Yawen edged past Rachel Van Cutsen/Karina De Wit 21-10, 21-7. Wednesday's matches also saw Germany, Indonesia and South Korea through to the Uber Cup semifinals.